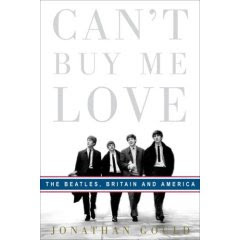 The new "Can't Buy Me Love: The Beatles, Britain, and America" by Jonathan Gould offers a poetic and informed take on the musical greats' music, life philosophies, and cultural context in which they worked and morphed their genius. am on it. comment once i'm finito with it. thx. Finally, writers who write for informed audiences. Pop Culture is vastly relevant and significant. Do you know if it covers their German experience? It might be a while till I get to it.... Sounds interesting, though. "The reason why so few good books are written is that so few people who can write know anything.? Gould dedicates some of the book to the Beatles' experience in Hamburg. And I'm assuming you know that after much time in the studio the Beatles could only record two songs in German. The language was just too darn hard for them.